Planning a cheap cremation can help bring peace of mind to families during one of the most difficult times in their lives. When a loved one passes, important decisions must be made in a timely manner. Although cost is a major factor, we understand how important it is to you and your family that your loved one be treated with the utmost dignity and respect. Cremation Options is among the largest network of cremation providers throughout the country-this enables us to provide a cheap cremation with the highest quality of service. Factoring the cost of funeral services during a time of bereavement can be very overwhelming for the grieving family. The greatest misunderstanding about cremation is the belief that there is no closure for grieving family and friends. However, there are many options that can be considered when planning a cremation. 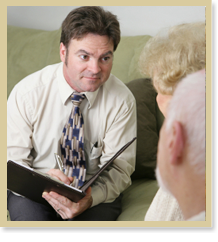 Our caring professionals are available 24 hours daily to assist you in planning a simple cremation for your loved one. Please allow our caring staff to provide proper guidance to you and your family. Cheap cremation fees may be a deciding factor as to whether you will plan a traditional funeral with cremation to follow, cremation with a memorial ceremony or simple cremation. There are many unique options that can be chosen. Cremation is influenced by religions, cultural traditions, funeral costs and personal preferences. The best way to plan an appropriate cremation for your loved one is from the comfort of your own home by comparison shopping on different websites. Please remember cemetery charges are additional fees not included in funeral service pricing. Cremation is roughly ¼ the cost of an earth burial. A few reasons why cremation is much more cost effective than an earth burial are: Embalming is not required, a burial vault or casket purchase is not a necessity and cemetery fees are not always incurred. Many people keep the cost low by deciding to have a memorial gathering with or without the cremated remains present at a church, garden area or residence. This is significantly less expensive then the cost of renting a funeral home for a formal visitation. Additional transportation fees for hearses and limousines are not normally acquired. A Cheap cremation is much more affordable and it expands your opportunities to personalize the service you select to suit your loved one. Whether simple or elaborate, please consider having some form of memorial gathering to allow family and friends to reminisce and support each other during this difficult time. When planning a cheap cremation service, you and your family should discuss where the final resting place for your loved one's cremated remains will be. A few suggestions you may want to consider are: interment at a cemetery / mausoleum, scattering at one's favorite place on land or at sea, placement in a coral reef in the ocean, placed inside a decorative urn to personally keep or placed in several keepsake receptacles for dispersal to family members. All consumers have the right to request a general price list from the funeral provider. This will enable you to plan a cheap cremation without unforeseen charges. A general price list will give you the opportunity to compare competitive pricing among funeral homes. Planning your arrangements wisely will allow you to personalize the ceremony but yet relieve the immediate family from financial burden. 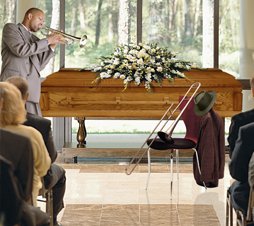 The funeral director will be responsible for explaining all costs to you in a detailed manner. For your convenience, our caring professionals are available to assist you and your family at any hour. We deeply sympathize with you during your time of loss. We are pleased to present you with all of the cheap cremation options as well as discuss which service best represents you loved one's path through life. We will prepare and supervise the cremation service ensuring that your loved one's wishes are carried out in an appropriate and honorable manner. Please remember just because we are planning a cheap cremation for your loved one does not mean it will be lacking in quality, service and dignity. For more information please complete the contact us form and a representative will contact you immediately.